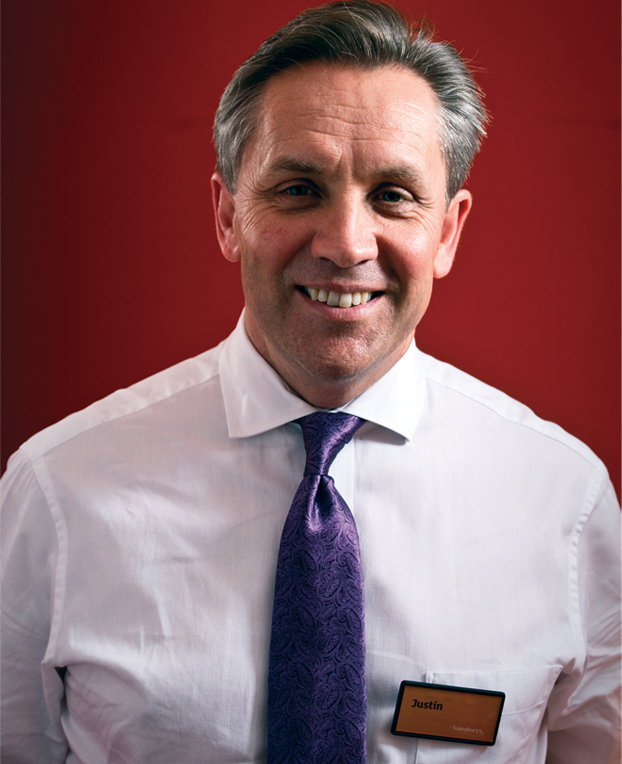 The MT Interview: Justin King is crowned Britain's Most Admired Leader, after Sainsbury's 35th consecutive quarter of growth. Justin King is having a good day. 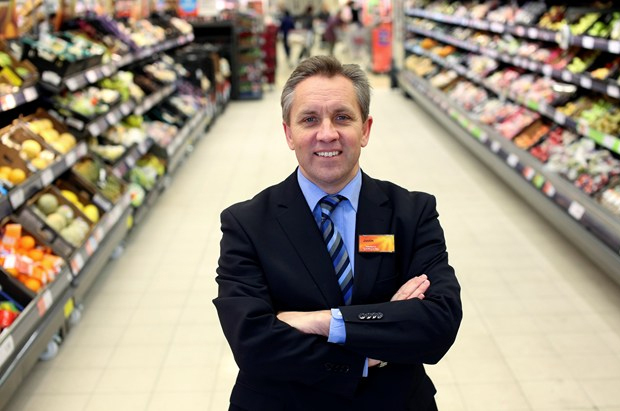 He has just announced Sainsbury's 35th consecutive quarter of growth, with profits up 9.1% to £400m and, most importantly, the supermarket has got back its position as the UK's second largest after Asda fell to third. This is especially satisfying for King, as he spent seven years there in the 1990s running hypermarkets. So his smile is even broader than usual. It's nearly 10 years since he took over as Sainsbury's boss and the company's prospects look brighter. When he arrived, £3bn was being splashed out on an IT system that couldn't even get Pampers, Prosecco and Pringles onto the shelves. As a supplier, he has said, citing his own experience, negotiations with Sainsbury's were 'a deeply odious experience'. 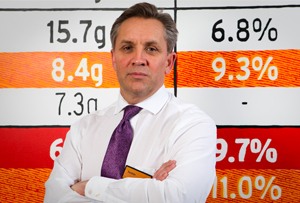 His turnaround plan to make Sainsbury's 'great again' has come a long way, aided by some inspired leadership and a major stumble from the once invincible Tesco. He has come through the worst recession ever, made even more awkward in 2007 when bid rumours swirled first from CVC and then from the Qataris and the not-to-be-messed-with Robert Tchenguiz. And he is surviving in the tough middle ground while the discounters at one end and Waitrose at the other grow apace. Having begun the day before the sun was up, King has done the Today programme, the telly, the analysts and the City hacks. He won't get home to Bloomsbury till late as they want him on Newsnight to discuss the Christmas ad. Now the victorious leader has returned to the Holborn HQ to address several hundred of his adoring troops in the huge glass foyer. King is British grocery's answer to Russell Crowe's Maximus Decimus Meridius. Minus the furs and the violence. In his shirtsleeves, with his ever-present orange 'Justin' badge on his chest and no notes, he measures it perfectly. Praise, vindication and encouragement but with an earnest reminder that, with Christmas coming, there is still everything to play for. Fluent without appearing trite, he is a master of the brief, a comms director's dream. He's got charisma and would make a great politician. Surrounded by aides, he is striding about approving statements on help for the victims of the Philippines typhoon then having his ear bent by a union rep who collars him in a corner. While the old adversary Tesco - uglier but still vastly more profitable - is a wounded beast, King is grabbing all the headlines. There's not only his organisation's steadily improving performance but the culture of his company. Sainsbury's has been skilfully angled for a sceptical 21st century. He has carried off an enlightened blend of meticulous brand positioning. Leave Heston Blumenthal, his liquid nitrogen and blowtorch to the food wonks at Waitrose: the blokey, classless Jamie Oliver shifted far more stuff. Sainsbury's widely lauded sponsorship of the Paralympics caught the Zeitgeist of the summer of 2012 perfectly. And there's more. While most FTSE bosses cursed under their breath when the paltry contributions to HM Treasury by Amazon, Google and Starbucks were exposed, King came out and condemned those online and foreign businesses and their fleet-footed accounting. Never mind the law, he noted, never mind fiscal duty to shareholders; what about the morality? And Brits who don't want to pay for the costly NHS alone liked this argument. And, to top it off, here is MT arriving at Sainsbury's HQ to tell him that he's the UK's Most Admired Leader for 2013. This is sweet, as Sir Terry Leahy ran off with the award on numerous occasions during the noughties. King reminds us that he first appeared on MT's cover back in the early 1990s as a 30-year-old contender with a sample case filled with Haagen Dazs. Now 52, King is a classic, classless Mars-trained meritocrat from Middle England - Solihull, in fact. His dad was a civil servant-turned-petrochemicals salesman; his mum, a housewife, shopped at Sainsbury's. He's the eldest of four boys. Always a 'gobby young shite', as he has recalled. So he doesn't duck the issue of the notoriously difficult - some would say bullying - relationships that big retailers have with their suppliers. 'It's tough. We represent customers; we do things in their name and the perception of the power balance between retailers and farmers isn't always good. But take our Dairy Development Group. It contains 330 dairy farmers and the deal we now have with them is to pay them on the cost of their production. He has done well to win the MT accolade and the admiration of his peers across the board - the Most Admired Leader is a free, unprompted vote. Grocers were not broadly trusted even before the tawdry scandal involving horsemeat, which exposed the unsavoury nature of some supply chains. Sainsbury's was not dragged into the mire. These days, apparently, Sainsbury's technicians go one step further, using radioisotopes in water to identify where the cow was drinking from before it met its end in an abbatoir. So, what about Tesco? Had he seen the old enemy's fall from grace coming? 'As a competitor, you get a pretty clear sense of how your rivals run their business. For a number of years we'd be told: "Yes, you're doing well with your top line but you still don't convert enough into profit." This is an interesting observation. The way he brings morality into so many answers is relatively novel. Did he mean that Tesco's levels of margin are unsustainable in the hugely competitive overshopped world of UK grocery and that nobody should expect Sainsbury's ever to achieve them? 'No. Margin - profit - is what customers will willingly let you have for the job you are doing for them. Profit is a good thing. And in the current world it's not clear that the UK believes successful business is a good thing. Taxes from businesses pay for most of the services we all enjoy.' This doesn't really answer the question, but never mind. Sainsbury's is not building massive outlets as it used to, not that it went in for many 125,000sq ft premises, anyway. It has just taken a £92m impairment, reflecting 15 to 20 sites out of about 70 to 80 schemes that it decided were no longer economically viable to develop. Yet King says things are not as simple as the online disciples would have us believe and, ever hungry for market share, points out that more than 20% of UK customers are not within 15 minutes of a Sainsbury's store. He talks of fighting 'one store at a time' and reminds us that he will open 60 stores over the next five years. After nearly 10 years of King in the hot seat, what's next for him? It's not easy to see what the next major goal in his current role might be. Overhauling Tesco just isn't possible - or maybe even in King's reckoning, desirable. Tesco's UK market share is still over 30% - more than twice that of Sainsbury's - and profits are three times the size. The bitter trench warfare goes on day-in, day-out and Sainsbury's may be launching a legal suit against the Cheshunt behemoth over the Price Promise promotion, but the Goliath will not be slain just yet. So what about the rumours that he covets the top job at Formula 1? Despite trading in his Maserati for a large Lexus hybrid, he is a motorsport nut. 'There is no vacancy,' he replies with a grin. But Bernie Ecclestone is 83 and in all sorts of legal difficulties. His cheesed-off employers at CVC describe Ecclestone as 'very powerful and difficult to manage'. Sainsbury's is a values-driven business to which I'm completely aligned. I'm in no way insincere and do my job better as a result.' One can think of few businesses less 'values-driven' than Formula 1. And off he sprints, the West Midlands Roman general, into the huge underground Holborn auditorium to address yet more eager troops from all over the UK.